Due to lack of interest and participation, the FREE CAP Security Instrument Debt Payoff Lottery Drawing has ENDED!! NO MORE LOTTERY DREAWING AND NO MORE FREE CAP SECURITY INSTRUMENTS FOR YOU!! GET YOUR Lottery Drawing For A FREE CAP Security Instrument To Pay off Your Debts TODAY! CAP Security Instrument has been BANK VERIFIED and BANK APPROVED!! NOW is YOUR chance To Win a FREE CAP Security to pay off your debts and loans up to ONE MILLION DOLLARS!! If you win, you can get your Mortgage Debt, Car Debt, Student Loan Debt, Credit Card Debt, Back Child Support Debt, or your Tax debt paid off for only the amount shown above!! We will have a Lottery drawing every two (2) Months starting 15 December 2018 for those of you that do not have a few thousand dollars to pay for the CAP Security Instrument Legal Processing and now is your chance to get it for mere pennies on the dollar… Next Drawing is 15 February 2019 for your chance to win a Free CAP Security Instrument to Pay off your debt.. When you submit your purchase below for each lottery number, you are giving us your free permission and to hold us harmless to use the winner’s Name, Email, or written or video testimonials in any future advertisement for the FREE CAP Security Instrument Lottery.. If you wish to remain anonymous then DO NOT PURCHASE a Lottery Number and DO NOT WIN anything!! 1) A call right after each Lottery Drawing and a follow-up email for verification that the FREE CAP Security Instrument Processing Lottery is legit and aboveboard and run legally under lottery rules..
2)A STATE Licensed, legally processed CAP Security Debt Payoff Instrument to pay off your debt or loan, including the Private Banker Registered Certificate and Authorization lifetime membership..
3) Now you will have to purchase the CAP Security Instrument and the PBNBA e-booklets in order to get the ITEMS NEEDED and the AGREEMENT for us to process your FREE CAP Securtiy instrument. 4) A full written client instructions emailed to the WINNER to show how to get bank approval and acceptance of your FREE CAP Security Instrument that tells you how to win your court case and walk away with your property every time when you read, follow, and do what the Client Instructions tell you to do.. The lucky winner of the 15 December 2018 FREE CAP Security Instrument Processing in Jamaica Armstrong of Minnesota, a single mother with a recent birthday. YOU could be the next winner..
Join the FREE CAP Security Instrument Processing lottery today and get your chance to save thousands or hundreds of thousands of dollars on your property debt and to get your legally pre-processed FREE CAP Security Debt Payoff Instrument to pay off and discharge your debt. Use the form below to enter your number spot in the lottery and get your lucky lottery numbers today. One Lucky winner will be chosen every 2 months on the 15th and will be posted on this webpage by the 20th evey month. The NEXT drawing for the FREE CAP Security Instrument to pay off your debt up to $1,000,000.00, ONE MILLION, will be held on the 15th, so buy your ticket numbers early so you don’t forget..
Our processed CAP Securities are bank accepted and pays off debts as proven in the $19.95 CAP Security E-booklet at Cancel1Mortgage.info. Our Processed Credit Agreement Debt Payoff, CAP Securities at Cancel1Mortgage.info are a State Licensed Legally Processed Promissory Note Credit Agreement used for debt payoff that banks have accepted, have a maturity date of over 9 months, have no interest payments, are NOT Capital Gains Taxable, are to be notarized for added protection to the borrower, and are registered securities that are legally used as money, legal tender, and U.S. Currency pursuant to Bank Laws that pay off alleged claimed debt and meets all Negotiable Instruments laws. I am NOT a Private Foreign BAR schooled Attorney, but I have attended many court cases, conducted countless interviews in my research of over 17 years to find these facts on banking fraud to help you fight the bank and win any COURT case.. Actions of winning your civil or criminal court case are in my written client instructions that have been proven by me and others to win in any court hearing or Trial By Jury when you follow and present them properly.. I offer a 90% Money Back Guarantee. Please, comment on this video and let us know what you think, Okay?? 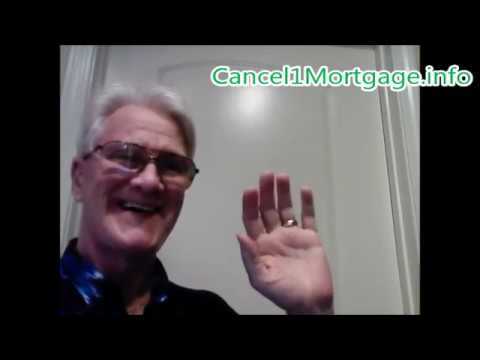 I am asking you to visit Cancel1Mortgage.info and utilize the successful CAP Security to pay off your Residential Mortgages, Commercial/Business Mortgages, and other type debts in as little as 14 days..
Be sure to visit TRNcoins.com and invest in your family’s future by capitalizing on the Texas Republic Nation, TRNcoins, the CryptoCurrency of the future..
For those of you who want to buy a Home, Commercial property, or a Business with just the down payment at the closing table, I strongly urge you to read Cancel1Mortgage.info/downpayment AND Thanks for watching my videos.. AND Don’t forget to go to TexasRepublicNation.com and join as a Free Texian. Thanks for watching my videos..
Our processed CAP Securities are bank accepted and pay off Mortgage Debts AND ALL KINDS OF DEBTS as proven in the $19.95 CAP Security E-booklet at Cancel1Mortgage.info. 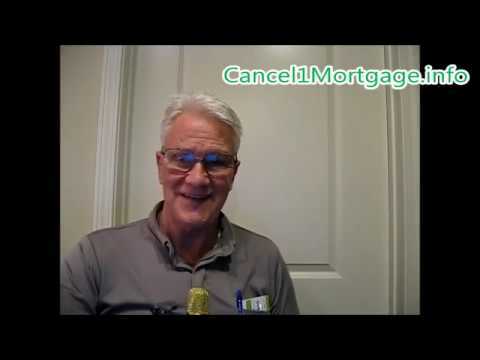 Unless you utilize the legally Processed CAP Security Negotiable Instrument at Cancel1Mortgage.info to pay it off and discharge your Mortgage Debt to become Mortgage debt free.. Mortgages and other debts can and have been canceled, terminated, and discharged after the legal three days of recession when you are forced to sign the Mortgage Promissory NOTE and the Mortgage Lien Contract Security in about 15 minutes at the Notary Closing table.. 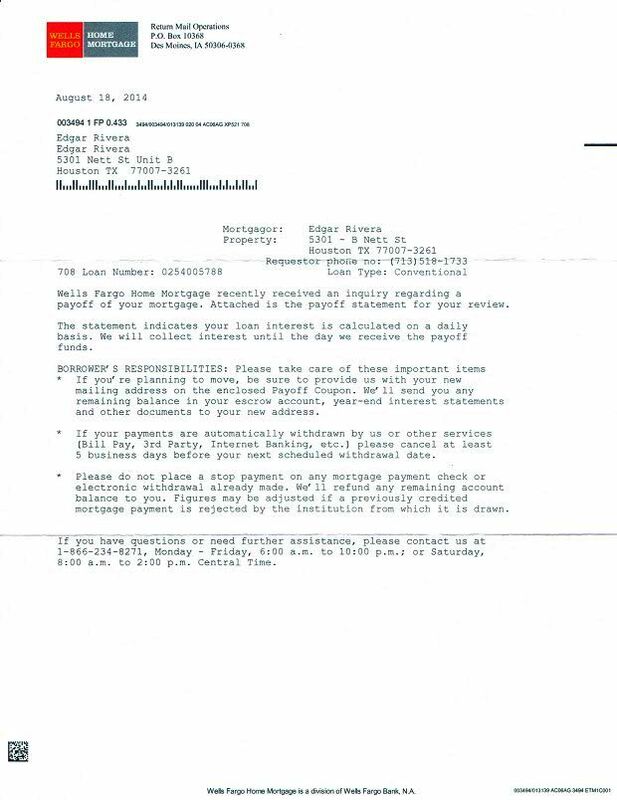 This is why you need to use the CAP Security Negotiable Instrument now to write a new Credit Agreement that nulls and voids the original Mortgage Contract Lien Security and MORTGAGE NOTE, and to pay off/discharge the complete mortgage debt..
People using and utilizing my written Client Instructions properly have won in Court every time and walked away Mortgage debt free.. Will you be next?? Think about it..
Each Processed Credit Agreement Debt Payoff, CAP Security at Cancel1Mortgage.info is a Registered State Licensed, Legally Processed, Promissory Note, Credit Agreement Payoff Negotiable Security, just like the FRN Dollar, Mortgage Promissory NOTES, and Debt Lien Contract Securities recorded in your county recorder’s office according to the UCC CODES, RULES, and STATUTES, pursuant to SEC Security Rules the CAP Security is also used as money, but for debt payoff instead of bank-created presumed money, debt, and loans that banks have verified as securities and have been bank accepted to pay off mortgages and debts; have a maturity date of over 9 months which qualifies the CAP Security as a Bank Verified Security and money that have no interest payments; are NOT Capital Gains Taxable; are to be notarized for added protection to the alleged or presumed borrower; and are registered securities that are legally used as money, legal tender, and U.S. Currency pursuant to Banking, U.C.C., and the United States Laws that pay off alleged bank claimed debt and meets all Negotiable Instruments laws. I am NOT a Private Foreign BAR schooled Attorney and do NOT practice Law, but I have attended many court cases, conducted countless interviews with Banksters, Attorneys, Law, and COURT officials in my 17 years of research to find these secret facts on banking fraud, that are in my client instructions, to help you fight the bank fraud and win any COURT case.. Actions of winning your civil or criminal court case can be found in my written CAP Security client instructions that have been proven by me and others to win in any court hearing or Trial By Jury when you follow and present them properly.. This is why I offer a 90% Money Back Guarantee for processing. 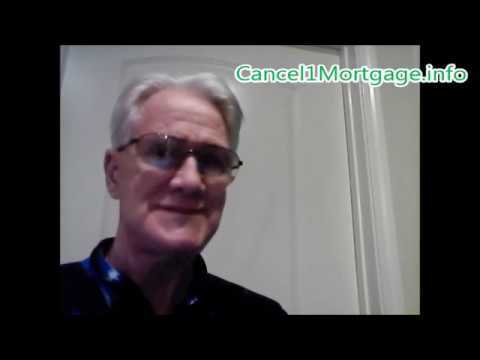 I am asking you to visit Cancel1Mortgage.info and utilize the successful CAP Security to pay off your Mortgage(s) and all other type debts in as little as 14 days..
Visit TRNcoins.com and invest in your family’s future by capitalizing on the Texas Republic Nation, TRNcoins, the CryptoCurrency of the future that are deemed and backed by Physical Commodities by a March 2018 U.S. Supreme Court Ruling; thus, making the TRNcoins real lawful money with real backing that you can buy anything that the FRN dollar buys..
Want to buy a Home, Commercial property, or a Business with just the down payment at the closing table, read Cancel1Mortgage.info/downpayment. If you want to avoid and never pay Property Taxes at the same time read Cancel1Mortgage.info/cashdown and buy these two silver bullet pamphlets today..
Join us as a Free Texian National and a sovereign man or woman at TexasRepublicNation.com.. There is NO such animal as a U.S. or STATE OF SOVEREIGN CITIZEN.. You are either a sovereign man or woman or an Unratified 14th Amendment CITIZEN PERSON.. Thanks for watching my videos.. Please, subscribe to my video channel and comment on this video and all my videos if you have questions and I will answer your questions.. Let us know what you think,, Okay?? Banks are corporations just like IRS, Sears, IBM, CIA, Wal-Mart Store, Shell gas stations, STATES OF, and the UNITED STATES Government..
Every credit agreement, promissory note, processed is mostly to create money, BUT, the CAP Security Instrument used as money is legally processed to pay off alleged debt and bank loans.. Actions of winning your civil or criminal court case is in my written client instructions that have been proven by me and others to win in any court hearing or Trial By Jury when you follow and present them properly.. I offer a 90% Money Back Guarantee. Please, comment on this video and let us know what you think, Okay?? Will I need to go to court before I spend my money on your CPA Security processing to pay off my mortgage? That is a good question.. That would depend on your situation and the bank. Out of three mortgages I paid off using the CPA Security, I only had to sue ONE BANK, but finally received my Mortgage Satisfaction / Release from that bank which is in my e-booklet that CAN BE VERIFIED. So, any time you deal with a Bank, Government, or any other corporation you have a 99.9% chance of going to court nowadays either as a Claimant/ Petitioner in a Common Law Court of Record and win every time you follow our Client instructions with our Client instructions help or as a DEFENDANT in their BAR Business Corporation COURT where you will lose 99.9% of the time..
Our Processed Credit Agreement Debt Payoff, CAP Securities at Cancel1Mortgage.info are a State Licensed Legally Processed Promissory Note Credit Agreement Payoff Verified Security used for debt payoff that banks have accepted, have a maturity date of over 9 months, have no interest payments, are NOT Capital Gains Taxable, are to be notarized for added protection to the borrower, and are registered securities that are legally used as money, legal tender, and U.S. Currency pursuant to Bank Laws that pay off alleged claimed debt and meets all Negotiable Instruments laws. I am NOT a Private Foreign BAR schooled Attorney and do NOT practice Law, but I have attended many court cases, conducted countless interviews in my 17 years of research to find these facts on banking fraud to help you fight the bank and win any COURT case.. Actions of winning your civil or criminal court case can be found in my written client instructions that have been proven by me and others to win in any court hearing or Trial By Jury when you follow and present them properly.. This is why I now offer a 90% Money Back Guarantee on my legal processing. 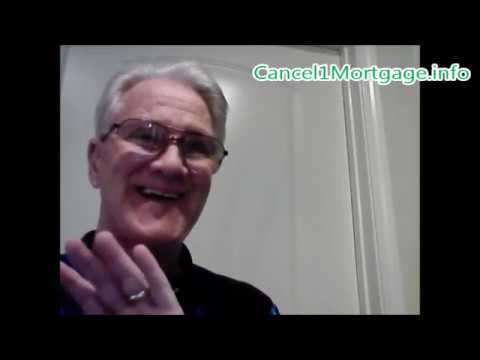 I am asking you to visit Cancel1Mortgage.info and utilize the successful CAP Security to pay off your Residential Mortgages, Commercial Mortgages, Business Debt, other type of Bank Debts in as little as 14 days..
Be sure to visit TRNcoins.com and invest in your family’s future by capitalizing on the Texas Republic Nation, TRNcoins, the CryptoCurrency of the future that are deemed Physical Commodities by a March 2018, U.S. Supreme Court Ruling; thus, the TRN coins are real lawful money with real backing..
For those of you who want to buy a Home, Commercial property, or a Business with just the down payment at the closing table, I strongly urge you to read Cancel1Mortgage.info/downpayment. If you want to avoid Property Taxes forever at the same time, go to Cancel1Mortgage.info/cashdown and buy these pamphlets today..
AND Don’t forget to go to TexasRepublicNation.com and join as a Free Texian. Thanks for watching my videos.. Please, comment on this video and let us know what you think, Okay?? We are offering a $30,000 $100,000 reward for anyone that can show us a statutory law that states that the IPN (International Promissory Note) is illegal a fraud or a scam. Also Find out about your birth certificate bond here! Watch this video below to get the full story on the $30,000 $100,000 reward for anyone that can show us a statutory law that states that the IPN (International Promissory Note) is illegal a fraud or a scam. Did you know that Banks DON’T LEND MONEY? Banks don’t lend money, They’re in the business of purchasing securities. That’s it! See this video below that explains how it works. Banks are thought of as deposit-taking institutions that lend money. the first empirical studies to prove that [banks create money out of thin air]. Banks are thought of as deposit-taking institutions that lend money. The legal reality is banks don’t take deposits and banks don’t lend ANY REAL money. So what is a bank deposit? A deposit is not actually a deposit. It’s not a bailment. And it’s not held in custody. At law, the word deposit is meaningless. The law courts and various judgements have made it very clear if you give your money to a bank even though it’s called a deposit, this money is simply a loan to the bank. So there is no such thing as deposit. It’s a loan at a bank. So banks borrow from the public. So that much we’ve established. What about lending? Surely they’re lending money. No, they don’t. Banks don’t lend money. Banks again, at law, it’s very clear. They’re in the business of purchasing securities. That’s it. That is how the banks create the money supply. The money supply consists to 97 percent of bank deposits and these are created out of nothing by banks when they lend. Because they invent fictitious customer deposits. Why? They simply restate, slightly incorrectly in accounting terms, what is an accounts payable liability arising from the loan contract having purchased your promissory note as a customer deposit. But nobody has deposited any money. Banking is not money lending; to lend money, a money lender must have money. The fundamental banking activity is accepting, that is, guaranteeing that some party is creditworthy. Crazy as it sounds, banks don’t lend money at all. A bill passed during the administration of former U.S. President Franklin D. Roosevelt in reaction to the financially adverse conditions of the Great Depression. The measure, which called for a four-day mandatory shutdown of U.S. banks for inspections before they could be reopened, sought to re-instill investor confidence and stability in the banking system. The infamous stock market crash, which preempted the Great Depression, put great strain on the U.S. monetary system. Collective fears of loss of individual savings as a result of bank failures caused massive runs on the banks, which only compounded the problem. Roosevelt’s actions helped restore credibility (and thus functionality) to the banking system and the creation of the Federal Deposit Insurance Corporation under this legislation helped provide a more permanent solution. Secret US Constitution Revealed to all Americans! See how The Secret Constitution was created and How Lincoln Redefined American Democracy! World Banker Karen Hudes Reveals Secret US Constitution, the secret us constitution introduced in 1871 that no one knows about. World Bank Whistle blower Karen Hudes joins Gary Franchi to reveal the truth about the secret US Constitution introduced in 1871. She also discusses your birth certificate value as well. Secret US Constitution Revealed Video below to see exactly How Lincoln Redefined American Democracy. This video says that the Civil War marked the end of one era of American legal history, and the beginning of another. Abraham Lincoln’s famous Gettysburg Address is viewed as the beginning of a new kind of “covert” constitutional law – one with a stronger emphasis on equality in the wake of the abolition of slavery – which was legally established in the Amendments made to the U.S. Constitution between 1865 and 1870. The author asserts that the influence of this “secret constitution”, which has varied in degree from Reconstruction to the present day, is visible in the rulings of the Supreme Court on issues hinging on personal freedom, equality, and discrimination. Investors were increasingly confident that stocks wouldn’t crash in 2007, and then a crash came. Then they were sure a crash would occur in 2009, just as a monster rally began. Same thing to a lesser degree in 2011. Now is the BEST TIME TO USE THE IPN TO GET OUT OF DEBT! We believe the evidence we have uncovered proves this outcome is impossible to avoid in 2015. In an exclusive interview with Money Morning, Jim Rickards, the CIA’s Financial Threat and Asymmetric Warfare Advisor, has stepped forward to warn the American people that time is running out to prepare for this $100 trillion meltdown. “Everybody knows we have a dangerous level of debt. Everybody knows the Fed has recklessly printed trillions of dollars. These are secrets to no one,” he said. During the discussion in the video below, Rickards shared a series of dangerous signals he fears reveals an economy that has reached a super critical state. Know what to look for to avoid becoming a victim of bank loan fraud and learn about Loans and Credit! Learn how to Protect Yourself Against Bank Account Fraud with these handy videos. This is really well done as far as content and explanation, showing you every turn of the RICO activity perpetrated by the banks, their attorneys and Wall Street, explained by a female mortgage broker who got screwed by the system that she supported for so many years without truly knowing all the puzzle pieces until it turned on her. This looks like a revenge piece that should be in the hands of every sheriff, honest attorney and victim in America. You got to see this. Former Securities Mort. 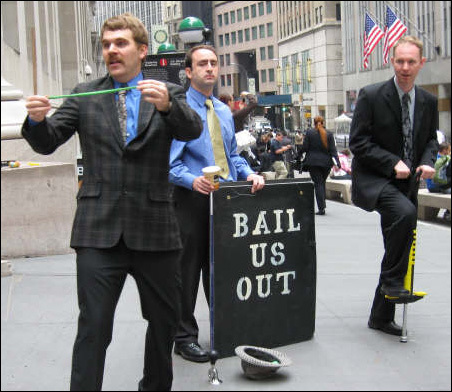 Banker, Val Lopez explains why you can NULLIFY 97% of Home Loans, TODAY. NOW. 1hour, 22 minutes on how 97% of Home Owners can catch the FRAUD done by the BANKERS , AFTER they Loan goes through, and before they can Foreclose Illegally on your home. Former securities Broker, Valerie Lopez nails the bank GANGSTERS of Wall Street, and PITE DUNCAN, Attorneys acting as 3rd party Debt collectors. Final Edit. Please leave your comments and suggestions as well as your own experiences with this kind of Bank Fraud! They keep us working just to pay the bills! Are you barely keeping your head above water? This video will teach you How To Pay Off your Debt Fast Using The IPN International Promissory Note! By learning how to pay off debt fast (within 90 days) you can spend your money on other things that are more important than the bank loans or credit card payments! Watch this video below and learn about how to pay off credit card debt from andy Bank. Learn the strategies to help you pay off debt fast. Please contact me today and learn how to get out of Debt within 90 days. 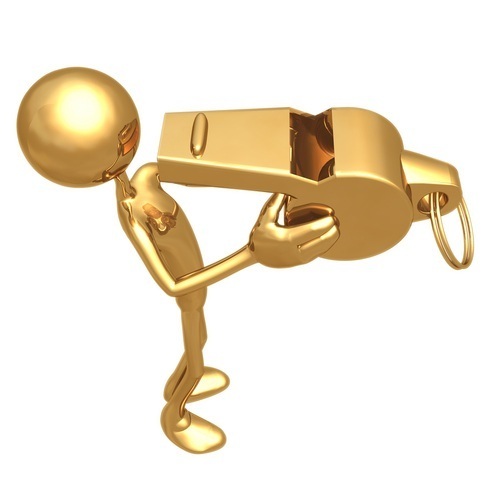 World Bank whistleblower exposes endemic corruption & money laundering. Abby Martin talks to Karen Hudes, former senior executive at the World Bank, about her experience blowing the whistle on the high level corruption within the international financial system and how her story was censored. 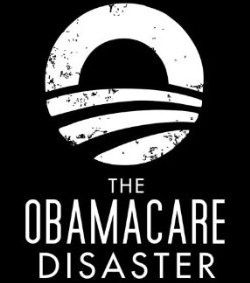 Tax payers should be outraged as the Obamacare Website cost has exceeded 2.1 BILLION US DOLLARS and it still doesn’t work! Obamacare Website Costs Exceed $2 Billion, Study Finds says bloomberg’s Alex Wayne in Washington! The federal government’s Obamacare enrollment system has cost about $2.1 billion so far, according to a Bloomberg Government analysis of contracts related to the project. Spending for healthcare.gov and related programs, including at the Internal Revenue Service and other federal agencies, exceeds cost estimates provided by the Obama administration, the analysis found. The government’s most recent estimate, limited to spending on computer systems by the agency that runs the site, through February, is $834 million. Healthcare.gov and its associated programs are the main portal for millions of Americans to sign up for coverage under the Patient Protection and Affordable Care Act known as Obamacare. Spending for the system has been a matter of dispute between the administration and Republican opponents in Congress, who have tried to block funding for the law. The construction of healthcare.gov involved 60 companies, supervised by employees of the Centers for Medicare and Medicaid Services instead of a lead contractor, according to the inspector general at the Health and Human Services Department. The project was marked by infighting among the contractors, CMS officials and top officials at HHS, the Cabinet-level department that oversees CMS, according to e-mails released Sept. 17 by the House Oversight and Government Reform Committee. Aaron Albright, a spokesman for CMS, disputed BGov’s calculation, which included parts of the federal health insurance system other than its computer elements. Albright added that the Affordable Care Act had saved consumers about $9 billion in health-care costs so far. Earlier this year, CMS fired the original contractor for healthcare.gov, CGI Group Inc. (GIB/A) of Montreal, and hired Accenture Plc (ACN) for the project. A UnitedHealth Group Inc. (UNH) executive, Andy Slavitt, who had managed repairs of the site, was hired as the principal deputy administrator at CMS. Kevin Counihan, the former chief executive officer of Connecticut’s successful state-run insurance exchange, was hired Aug. 26 to manage healthcare.gov. The Medicare agency and independent auditors have had trouble tracking the costs of Affordable Care Act programs. The Government Accountability Office, a congressional agency, said in a Sept. 22 report that it was “difficult and time consuming” to obtain financial information for the Center for Consumer Information and Insurance Oversight, the CMS office that manages many ACA programs, and that it “could not determine the reliability of most of the amounts” CMS provided. Albright said CMS has created a task force to track costs of the insurance exchange and “strategically manage” its future acquisitions. Healthcare.gov opened on Oct. 1 last year and promptly collapsed, preventing millions of Americans from enrolling in coverage until December, after a frantic repair effort. By April, about 8 million people had initially signed up for private health plans using healthcare.gov or state-run systems, according to the federal government. About 7.3 million people were enrolled in private coverage obtained under the Affordable Care Act as of Aug. 15, the CMS administrator, Marilyn Tavenner, said last week. The BGov analysis is based on contract data compiled by the Washington-based organization, which is a division of Bloomberg LP separate from Bloomberg News. BGov’s price tag includes several large costs left out of the Obama administration’s estimate: $387 million in spending for healthcare.gov by the IRS and other agencies outside the health department; a $300 million contract to process paper applications; and spending by CMS after Feb. 28. Senator Lamar Alexander, a Tennessee Republican who has scrutinized the Obama administration’s construction of healthcare.gov as the senior Republican on the Health, Education, Labor and Pensions Committee, said the cost of the site exceeded the combined value of his state’s three professional sports teams. Despite the spending, the site “still isn’t secure, doesn’t let people easily compare doctors and medications covered by each plan, and has not processed all of the applications from last year’s open enrollment,” he said in an e-mail from a spokeswoman. While spending for healthcare.gov has exceeded official estimates, the Affordable Care Act is coming under budget in at least one area: subsidies to help Americans buy insurance. The BGov analysis estimates the government will spend $14.9 billion through the end of September to reduce premiums for people purchasing Obamacare plans. The administration predicted it would spend more than twice as much: $36.7 billion. The discrepancy may be an indication of problems healthcare.gov has experienced communicating with computer systems at health insurance companies, Gosselin said. The subsidies are paid directly to insurers, and there may be a lag for the transfers because healthcare.gov’s back-end connections to insurers aren’t complete. DID YOU KNOW? ALL DEBTS ARE PREPAID! This piece comes from David Robinson. A Grand Juror seated under Summons on the Cumberland County Maine Grand Jury for the first four months of 2014. The United States CONSCRIPTED — that is, borrowed — an interest in everything that we would ever do and create — a “usufruct” relationship where our interest and the ownership of every thing within our estate transferred over to them; and they never gave their control of our property back to us. They have no lawful right to any of it, and no valid claim to us, our land, our businesses, our children, or any other asset of ours. These thieves are pretending that we consented to this circumstance and “volunteered” to subject ourselves to the United States jurisdiction “for the War Effort” in a war that has been over almost a hundred years. The expenses that they are responsible for are the expenses of all the shill legal fiction entities that they have created and run “in your name” by abusing the right of usufruct. Those expenses include the expenses and debts of the federal “State” foreign situs trust doing business as “David Everett Robinson” and the Puerto Rican ESTATE trust doing business as “DAVID EVERETT ROBINSON” and the United Nations transmitting utility doing business as “DAVID E. ROBINSON”, and so on ad infinitum. What they create, they control — and they are obligated to pay for what they create and control. The ones with the gold pay the bills! USUFRUCT: A right to use another’s property for a time without damage or diminishing it, although the property might naturally deteriorate over time. A legal usufruct is one created by law. A 100 year encumbrance — Black’s Law 7th, page 1542. Because of this “usufruct” relationship the United States has the hidden obligation and lawful responsibility to maintain everything we think we own. We were promised that on demand, but were never taught how to access it. The system made a promise that they could not and did not keep. We need to stop claiming ownership of everything we think we own and revert our interest back to the United States so they can put it in a trust for us (which they may have already done) so they can settle our claims. Our signature turns a piece of paper into a negotiable instrument because we are financial institutions considered to be estates patented under land patent because we come from the earth. They patented a “usufruct” interest in us. We are all agricultural beings, commodities. When you buy a house you’re not buying a house, you are creating a loan against yourself, you become the collateral for the loan. The land patent cannot go to ground because its immovable. You are considered in law — the international law of the Hague Treaty — as Liebercode Entities “outside of” and “foreign” to the United States. We’re our own estate on our debtor side, and considered to be a financial institution, so when you put your signature on any piece of paper you are considered to be a bank. They just take a piece of paper and overlay it on your signature, and write on that piece of paper, on top of your signature, your signature that authorizes a transaction that you never see. Then they place a lien against that signed piece of paper and sell it as a security on the stock exchange. This is what they’re doing with child support. They have you sign something so they can slap a lien on it and then sell it as notes no longer with them, a counterfeit security anyway, as there is nothing backing it and they’ve obtained it through fraud, so they are anxious to put the obligation onto someone else so it relieves them of the obligation, because they don’t have the Note as it’s been already been sold off. You become the naked owner. They’re supposed to be the naked owner, and we should have the usufruct. We’re being treated as terrorists in our own country. We are living basically in a fictional reality. We’re coming out of war. We are non-adverse. We’re not here to own anything. Once the application is completed, that’s it. The funds are supposed to be disbursed to the individual who needs it. They’re not doing that. Instead they’re creating a “usufruct” relationship. Meaning that when the person applies for something, they sign their rights over to the state, so now the state has the right to move as power of attorney which makes the person signing the application incompetent like an infant who can’t handle his own affairs and they stick someone else with the obligation to complete his financial accounts. It doesn’t matter who they appoint. This is why you find that some people are hit with the obligation. So with the bills they have you sign, you could do a reversionary interest. You could take it and sign it over to the United States Treasury which now has the obligation under “usufruct” to settle the claim. That’s it. You sign everything over to the U.S. Treasury, excluding the middle man, who is the administrator who is acting wrongly. When you keep this up, guess who will go down to check out their books? The U.S. Treasury. We are protected by international law and the statutes no longer apply to us as we are no longer at war once we move into non-adversarial status. The United States government went bankrupt in 1933. It’s an established fact that the United States Federal Government was dissolved by the Emergency Banking Act of March 9, 1933, 48 Stat. 1, Public Law 89-719 declared by President Roosevelt, being insolvent and bankrupt. House Joint Resolution 192 (HJR-192), 73 Congress in session, June 5, 1933 — A joint Resolution to suspend the gold clause standard and abrogate the gold clause — dissolved the United States and the official capacities of all U.S. Government Offices, Officers, and Departments, as further evidence that the United States Federal Government exists today in name only. The Receivers of the U.S. Bankruptcy are the International Bankers via the United Nations, the World Bank, and the International Monetary Fund. All U.S. Offices, Officials, and Departments are operating within a de facto status, in name only, under the Emergency War Powers. (And this has been going on much longer than 1933). With the constitutional Republic form of Government now dissolved, the Receivers of the Bankruptcy have adopted a new form of government FOR the United States. This new form of government is known as the Democracy, being an established Socialist Communist order under a NEW WORLD ORDER governorship for America. We’re operating under a fictional basis now, because we are under Martial Rule thanks to what happened with Abraham Lincoln, which was intended to protect us. When the colonies broke apart, when the North and South broke apart, when they went bankrupt way back then, the U.S. Constitution was no longer valid. The Constitution is now void, because there’s no sovereign government — and we’re under Martial Law Rule. So it’s time for us to wake up. Since gold and silver coinage was heavy and inconvenient for a lot of transactions, they were stored in banks and a claim check or promissory note was issued as a money substitute. Redeemable currency must promise to pay a dollar equivalent in gold or silver money. Federal Reserve Notes aka “dollars” make no such promise and are not “money” because they have no monetary value. They are worth nothing. 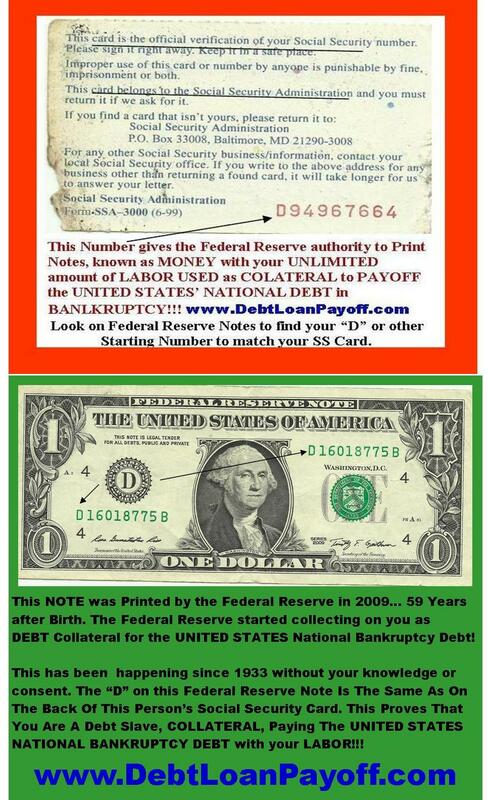 A Federal Reserve Note is a debt obligation of the federal United States Government, not “money”. The federal United States and the Congress were not and have never been authorized by the Constitution for the United States of America to issue currency of any kind, but only lawful money — gold and silver coins. 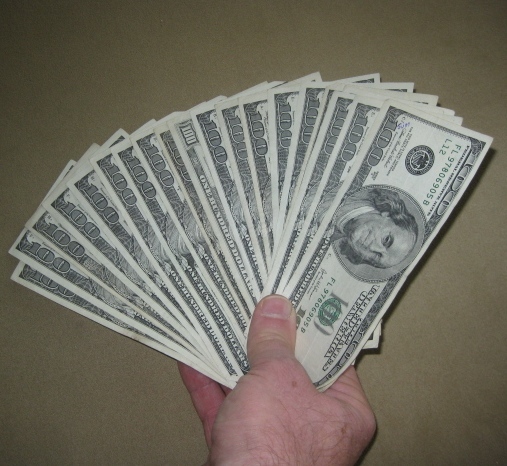 It is essential that we comprehend the distinction between real money and paper money substitutes. One cannot get rich by accumulating money substitutes, one can only get deeper into debt. We the People no longer have any real “money”. When this happened, and the Federal Reserve came in, and booted the United States Treasury out, and brought in the IMF, the United States Treasury ended up in Puerto Rico. The real United States Treasury is not in the District of Columbia now, at all. Now you know why most Americans have not been paid any “money” for a very long time, perhaps not even in their entire lifetime. Do you comprehend now why you feel broke? Why you are “bankrupt” along with the rest of the country? Did the Central Banks commit fraud? The answer is “Yes”. Being a sentient being, our signature is a commodity to the banker’s scam, due to the fact that they had an agreement (contract) after the gold was taken. The agreement was to collateralize all United States Citizens as debt slaves. The HJR-192 Resolution (agreement contract) that ALL DEBTS ARE PREPAID!!! (On demand). In exchange for their gold the people were promised that ALL DEBTS ARE PREPAID!!! This means that the International Banking Cartel came up with an Economic Security Offer aka SSN — the “Socialistic Security Act. This New Deal is not a bad deal — IF it were “honored”. Sustainable benefits at old age; a secure place to reside; Healthcare; all the essentials of living; a method of transportation. Everything is actually all prepaid because we are basically Shareholders in the United States Corporation because of our Birth Certificates bonds. If you are part of a corporation, you’re part Stockholder, so you should be getting dividends from that stock, yearly or monthly. But you’re not getting anything at all. So this was definitely done behind our backs, with the Birth Certificate bond, without full disclosure of the contract or anything explained. All this to “protect” you — protect you from what? Banks are acting in your behalf when making a so-called loan, but instead of you receiving the actual money to pay for a house, you are actually being scammed of you own money every time you put your signature on their so-called “Promissory Note”. The most likely Question is: “Why do they need our signature so badly?” The simply answer is: Because You are the Creditor and the Debtor. You create the money every time you sign a fraudulent contract with the international bankers. AND HOW DO WE KNOW THIS? Because you are land; you come from the land; therefore, you are a financial institution. When you sign your signature you create “credit” (credibility) that they can actually take from you and pocket, because you are Walking Real Estate. You are the walking Estate that they have patented. They have patented everything through your Birth Certificate. Can you imagine, we are very rich! But they are using us as agriculture in a very devastating way. ONCE AGAIN – UNDERSTAND THE PROCESS . . . Under the UCC you create the Money. Your signature is Required — so you can Discharge the Charge. Under the UCC you create the Debt. Your signature is Required — so you Have and Hold the Debt. A Run on the Bank is created when borrowers demand real gold or silver instead of paper representations; so instead of being outlawed, the federal Government legalized it, and regulates the fictional money scam. This is why Roosevelt had an issue with the Bankers. They basically came in and took the Money out of the Notes — they took Everything. What have we learned? That around 1933, President Roosevelt declared the bankruptcy of the United States Corporation. The International Bankers demanded our gold and made it legal. They also removed Money notes that were backed by the real gold standard set by the Founding Fathers of the Republic. The Bankers demanded even more Monies, so they created House Joint Resolution 192 (HJR-192), based in effect on the the private central bank, the non-federal FEDERAL RESERVE, INC. And, again, one of their resolutions was to Collateralize all citizens via their Birth Certificate Bonds. In exchange for HJR-192, all citizens were to have Free Transportation; Socialistic Security; Prepaid Utilities; Socialistic Healthcare; Food Rations, etc. We were to be protected and maintained by the Government of the United States of America. Everything was supposedly prepaid. The owners of the gold pay the bills. But something happened then, and we are now under Martial Law Rule. We we’re supposed to have all this, but the Bankers came in and took Everything to make it look like we have to pay for everything ourselves with our sweat and toil, when this is not true all. Everything should be prepaid right now. BIRTH CERTIFICATE BONDS – HOW DO THEY WORK? To simplify — John Doe is born, and is incorporated. The Bond Certificate is then collateralized (converted into “money”) — for example a million dollars — and the bond is then sold in the privately held International Central Bank System. The bond is sold over and over and over again which in turn can be worth a lot of money!!! One million over a 20 year period may grow to 40 million dollars or more! But understand, in this process you are nothing but a human resource to the bankers. After a bond is collateralized for a million dollars, a million dollars gets created out of thin air and the Federal Reserve orders the Treasury to print up 1-million Federal Reserve Notes. If you’ll notice, the dollar bills have a serial number. That is actually a “person” you are holding in your hand. So really; we are all collateralized. Who is doing this to us? We are being treated as agriculture. So we have to find out who we are and what we are and what we are here to do. What’s being done to us, is very inhumane. Go to a bank and ask for a loan. The bank acts as a 3rd party between you and the Federal Reserve to tap into your million dollar Birth Certificate bond. They are loaning you your own money!!! Your own energy. We start out on an adversarial level, but we have to act on a non-adversarial level. With HJR-192 our best friend was created (the IRS!) our personal accountant for our bond. 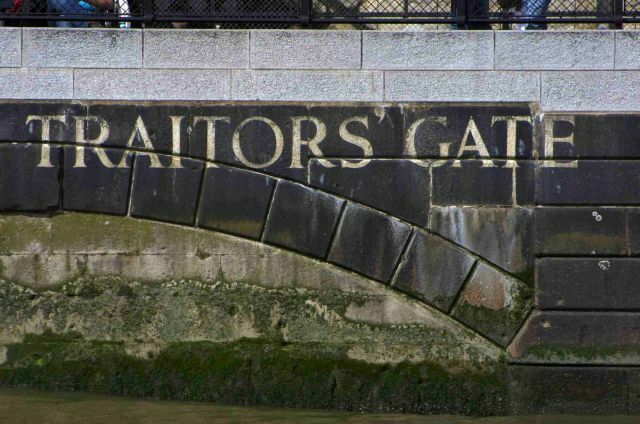 This is where you, the debt slave, can discharge alleged debt and where the UCC process comes on board. Now, the IRS can be your best friend. When you accept a charge, for the honor of the name, and deposit it as credit into the United States Treasury, you are released from the obligation of the debt, by reverting all the interest to the State. The US Treasury via the IRS is going to contact all these agents and make them get their act together. Where are they pocketing the money? Where are their books? The Uniform Commercial Code is 1.) a code of statutes, of contracts, a product of private “Bankers” that have hijacked the Constitution and the Bill of Rights. It is 2.) based on Merchant Marine law. This is important because of the prevalence of commercial transactions extending from one state to another. For example, goods may be manufactured in State A, warehoused in State B, sold from State C, and delivered in State D.
1. General Provisions; 2. Sales of goods; 2A. Leases, leases of good; 3. Negotiable Instruments; 4. Bank Deposits; Banks, and Banking, Check collection process; 4A. Fund Transfers, Transfers of money between banks; 5. Letters of Credit, transactions involving letters of credit; 6. Bulk transfers and bulk Sales Actions, and liquidations of assets; 7. Warehouse Receipts, Bills of Lading and other Documents of Title; 8. Investment Securities, Securities and financial assets; 9. 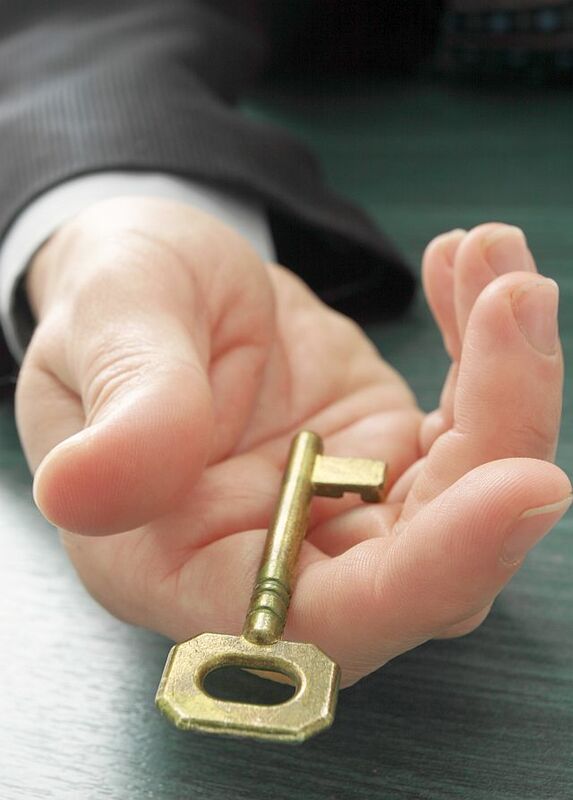 Secured Transaction, Transactions secured by security interests — and most importantly, Liens. Under the UCC you are considered to be a “vessel” over which Maritime Laws apply. Under the UCC you can be liened — in total conflict with Declaration of Independence “unalienable rights”. Under the UCC by contracting — such as applying for a license — your inherent (original) rights are turned into privileges that can be liened. We’re under the contract of Martial Law Rule. We’ve already been liened. • Your right to travel is now a privilege to drive. • Your right to free speech is now a privilege to protest. • Your right to hold property is now an asset that can be seized. • Your right to hunt and fish is now a privilege to hunt and fish, which can be fined. These are just a few examples of the usurping statutes of the UCC. Because they own it all, they own your title; they own you cars; they own everything you registered to the state; and more. They see you as a war-time criminal. Under the UCC all of us are considered to be an asset of the State — a debt slave used as collateral for their debts. All of us are equity for debts to the UNITED STATES CORPORATION. By filing a UCC Finance Statement, Liening your Legal Status Name, you become the Secured Party Creditor of your ens legis Strawman. In effect, you have . . . 3.) . . . you have a lien on the CAFRs, and all officials who work for us whom we can shut down if they break their own corporate laws — aka, the “UCC”. You’re moving yourself off of war-time status. CAFRS: Comprehensive Annual Financial Reports. It has been reported that trillions of collective dollars, not shown on government Budget Reports, are shown through government CAFR reports that are virtually never openly-discussed by the syndicated News Media, Democrat and Republican Party members, the House, the Senate, nor organized public education. With it being that the CAFR is “the accounting document for every local government, and with it being “BLACKED OUT” for open mention over the last 60 or more years, the Fact of unintentional Omission of coverage is one of the biggest Conspiracies that has ever taken effect in the United States of America. A Comprehensive Annual Financial Report is the government’s complete accounting of “NET WORTH”. The CAFR was established as local government’s complete accounting record started in 1946 through the efforts of a private group located out of Chicago, Illinois by the name of Government Financial Officers Association (GFOA) http://gfoa.org which became mandatory by FED requirements on all local governments in 1978, to complete if they had not already done so. From more than 84,000 CAFR reports produced by local governments each year in combination with Federal Government owned investment holdings, shows a conservative value of some Sixty Trillion Dollars held by local and federal governments, as of 1999. An example of the holdings shown from just one Government CAFR (NY State 2005 Retirement Fund CAFR) shows 133 Billion Dollars of investments held (Microsoft; 44 million shares thereof). Instead of us receiving these tremendous amounts via dividends every month to the populace, we are being cheated out of all rightful benefits ourselves, and benefitting them instead. As a Secured Party Creditor, putting a lien on the CAFRS makes a lot of sense!!! We are Share-holders of the United States Corporation and should be sharing in its profitable dividends. But we’re not getting anything at all. Discharge of Fines; Liens; Summons; Court Case Charges; Orders; Legal Notices; Protect all your Vehicles; Child Support Payments; School Loans; Alleged Credit Card debts; Utility Bills; Secured Loans; Tax Liens; Traffic Tickets, and so much more. By using this private process, you have the power to put them under Notice of Default and use the process to lien them as well and receive monies from their bond — when they break “UCC CREDITOR LAWS”. “But they that be rich fall into temptation and a snare, and into many foolish and hurtful lusts, which drown men in destruction and perdition. For the love of money is the root of all evil: which while some coveted after, they have erred from the faith, and pierced themselves through with many sorrows.” — I Timothy 6:9-10. “The thief cometh not, but for to steal and to kill, and to destroy: I am come that they might have life, and that they might have it more abundantly. — John 10:10. The bank system is a well organized corrupt criminal Cartel that came to a head around 1933 when President Roosevelt declared the bankruptcy of the United States. The banks took over our gold and silver money that was backed by a gold standard. The result is a new type of “fiat” money and a de facto government system. This new form of government is known as a Democracy, now established as a Socialist, Communist NEW WORLD ORDER Government of America. “Fiat” money is any money declared by the government to be legal tender. Before 1933, paper money was backed by gold. Ever since, Federal Reserve Notes (FRNs), aka “dollars”, are not money but money substitutes backed only, by false belief. David Robinson served as a Grand Juror seated under Summons on the Cumberland County Maine Grand Jury for the first four months of 2014. He publishes a series of handbooks on the subject of the Common Law Grand Jury and is the Chief Administrator of the Unified Maine Common Law Grand Jury for the Maine Republic Free State. 46 Senators Voted YES to Give your 2nd Amendment Constitutional Rights to the U.N.
Who would have thought this would garnish so many YES votes? One would think it’s not possible in AMERICA! But to some… it’s no surprise. If you have not seen this yet, I know you will want to and also forward it. The U.N. Resolution 2117 lists 21 points dealing with firearms control, but perhaps of most interest is point number 11. It: “CALLS FOR MEMBER STATES TO SUPPORT WEAPONS COLLECTION and DISARMAMENT of all UN countries”. By a 53-46 vote – The U.S. Senate voted against the U.N. resolution. HOORAY. In a 53-46 vote, the Senate narrowly passed a measure that will stop the United States from entering into the United Nations Arms Trade Treaty. that would have implemented an international gun registry, now get this, on all private guns and ammo. Astonishingly, 46 out of our 100 United States Senators were willing to give away our Constitutional rights to a foreign power. Here are the 46 senators who voted to give your rights to the U.N. Discover the SECRET Money Negotiable Security Instrument Information to pay off your bank or financial debt or loan using IPN Money. 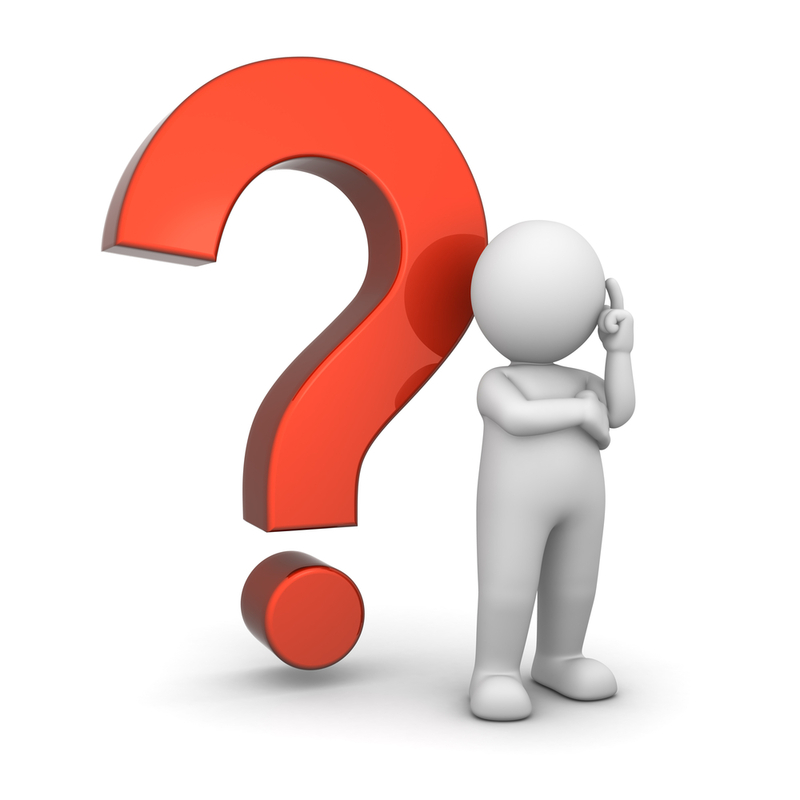 People have asked me – Who wrote the IPN International Promissory Note Check? People have asked me “Who wrote the IPN International Promissory Note Check? The answer is! You did! With your signature, as we are just a Documents Processing Company and Not attorneys nor CPA accountants. Your IPN is funded with YOUR money through your Birth Certificate Bond and Social Security Trust that make up your Reserve Account in the FEDERAL RESERVE. It uses your reserve account to draw from every time you sign your signature on a Promissory Note, credit application, or bank checking or savings account. What is a Promissory Note? It is Money, legal tender and national currency, but it is also an International Promissory Note, because all promissory notes are accepted as money in the current global International economy. Most Countries accept the FEDERAL RESERVE INTERNATIONAL promissory Note, Money order international promissory note, or Bank Check international promissory note. This makes all promissory notes international. Want proof of your STRAW MAN Funded Reserve Accounts? I have proof with my BC and SSN in High Yield Investments and diversified portfolio of Fixed-Income Instruments and High Yield funds. As well as my CUSIP Number proving that these Millions of Dollars are yours and mine in this commercial world. When you want to know just how much money you have in your Government Birth Certificate Bond and your SS number Trust that make up you Pre-Paid Exempt Reserve Account so you may be able to get money from your stock certificates that are traded on the stock market daily in your Legal fiction, STRAWMAN name, call David at (850)826-1662, SKYPE handle is day global. The cost for this FUNDS information, is very nominal for the BILLIONS OF DOLLARS you could receive from the stock market trading of your bond and trust, for a very limited time is $2,000.00. This special offer will be terminated at any time in the future. 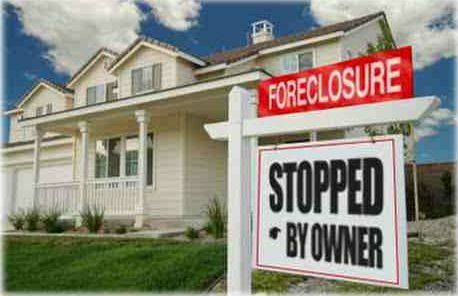 There is a nationwide epidemic of foreclosure abuses and unacceptable mortgage servicing practices. Despite billions of dollars in fines and settlements involving mortgage servicers and lenders, the industry continues to mislead and abuse homeowners, according to the federal government. TOO BIG TO FAIL? The Consumer Financial Protection Bureau released a report this month that found nearly 50% of the more than 187,800 complaints filed with the agency had to do with mortgage problems. The majority of these complaints concerned loan servicing, modifications, and foreclosure activity by mortgage servicers. “Robo-signing” is one type of mortgage fraud that has received a lot of press, but loan companies find many ways to rush foreclosures or generate fees at homeowners’ expense. Here, in no particular order, are many of the top loan servicing abuses. 1. Misapplied payments: Even when payments are made on time, the company mistakenly rejects the check or applies it to the wrong account. The result is unjustified late fees and often other penalties as well. For homeowners, misapplied payments are a huge headache; for loan servicers, misapplied payments mean a chance for more income. 2. Illegal fees: It’s not legal to charge the homeowner when the loan company pays for property monitoring or price opinions from brokers, but it happens. 4. Blocked refinances: Loan servicers don’t like to lose the steady income flowing from their mortgages, so it’s in their best interests to stall attempts to refinance with a different company. Some loan servicers have refused to provide loan payoff information, preventing refinances and even home sales. 6. Botched taxes and insurance: Many mortgages have an escrow account for taxes and insurance that the loan company manages—or not. When the company fails to pay these expenses on time, the homeowner is stuck with the penalties. And some companies require expensive hazard insurance (to cover damage from accidents, storms, etc.) even when insurance is already in place. 7. Zipped lips (no communication): When loan servicers believe a homeowner is late on a mortgage, it’s important to send a notice. Sometimes they do, sometimes they don’t. 8. Whirlwind foreclosures: Each state has laws governing the foreclosure process and when a lender can initiate foreclosure. In the rush to foreclose, some loan companies ignore key steps required by law. 9. Crazy foreclosures: This one is hard to believe, but it happens: the loan servicer begins foreclosure proceedings even though the homeowner is current on the mortgage. 10. “Robo-signing” and other fraud: Loan companies fail to review key documents or falsify court documents used to evict—often because the companies haven’t kept accurate records of ownership, payments and escrow accounts that would enable legal foreclosures. A recent report from the Consumer Financial Protection Bureau focused on the risks to consumers in their dealings with their mortgage company. Mortgage companies- or servicers- are the entities that are responsible for the processing of your mortgage payments, as opposed to those entities that own the loan. In the report, the CFPB found that common problems still exist even after the financial crisis and recession in 2008, including improper processing of payments, improper servicing transfers, and numerous problems with various aspects of loss mitigation. A landmark $25 billion settlement with the nation’s top mortgage lenders was hailed by government officials as long-overdue relief for victims of foreclosure abuses. But consumer advocates countered that far too few people will benefit? If you think that your a victim of foreclosure abuse by the banks. Please contact me and let me help you fight back! We must understand what money actually is, its CREDIT Plain and Simple! 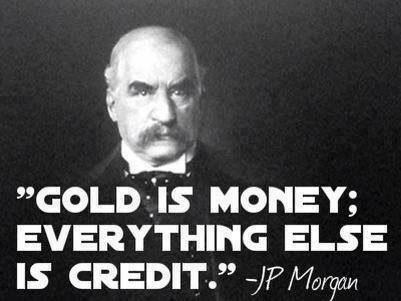 J.P. Morgan way back in 1912 Said “Gold Is Money, Everything Else Is Credit” and he was right! Fast forward to now and you can see we now live in a world where nearly everything is credited, EVERYTHING! Nothing is backed by Gold. Real estate and commodities has been “borrowed” against by a bigger percentage than any time in history. Then we have $1.6 quadrillion dollars of derivatives hanging over the financial world. This is all credit and it all carries a huge risk to our way of life today. So why not fight back? We as people have a right to claim what is rightfully ours but most people do not know how to go about it or where to start. This is where we come in! We will help you file an IPN using your information and and you will receive your IPN (International Promissory Note) within 90 days to pay off your debt to the bank! Its really that simple using my tried and proven system that has helped people all over get back their lives using the IPN to pay off their debt within 90 days! So if you’re one of the thousands of people losing your home or business because of debt, then give us a call the Mortgage Lien Removal Expert and Educator against Mortgage Lender Fraud; CALL: (850)826-1662 TODAY to get started. We can help! Real Estate Agents Offer to Payoff Clients Homes Within 90 Days! 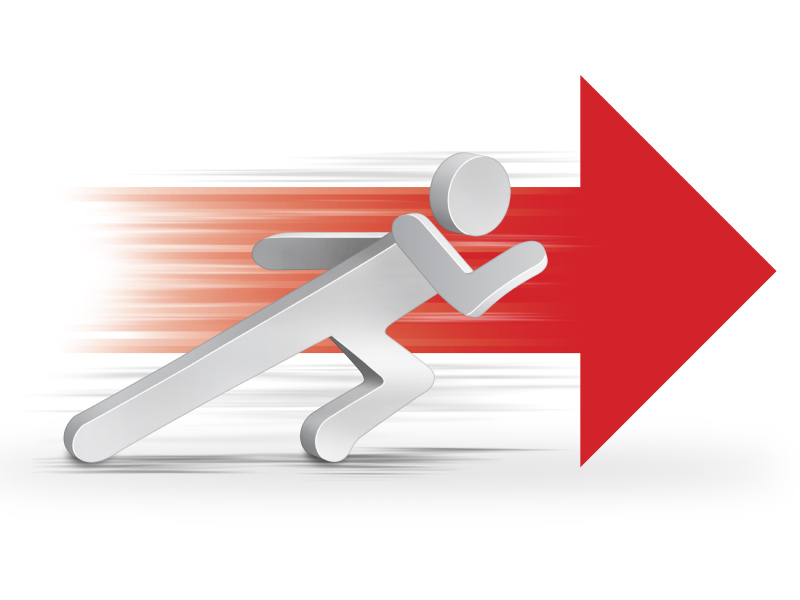 Dear Real Estate Agents, Offer to Payoff your Buyers Home Mortgage Within 90 Days! Why? Because with our process using the IPN we can pay off any debt or loan in the USA and Canada! How would you like to offer your prospective home buyer the chance to pay their home Mortgage off within 90 days? GOOD NEWS! Well now you can! With offering my services to process the International Promissory Note for your real estate buyer to pay off any mortgage, debt or loan. You can tell them they can tap into their money from their Birth certificate and wreap the benefits of being debt free! Contact me ONLY after you have read this website in its entirety!!!! Then contact me if you have any additional questions about how to get rid of your straw man STRAWMAN and/or pay off all your outstanding debts by filing an IPN RIGHT NOW! Please contact me here if you want to pay off your debts today! 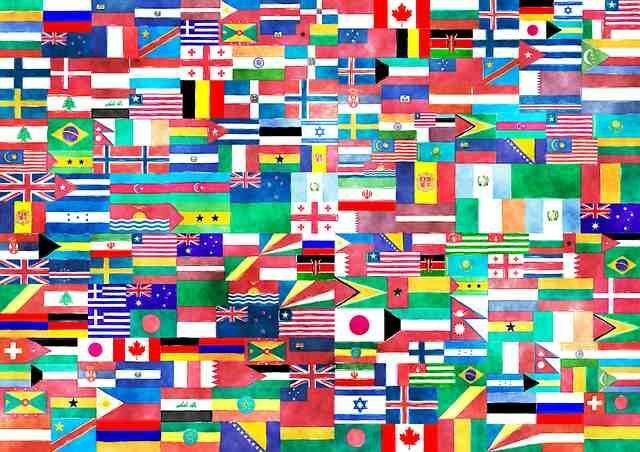 This Debt Payoff Instrument Works in the United States and Canada and ANY Country that is a member of the United Nations!!! Please call(850) 826-1662 for debt loan payoff information. 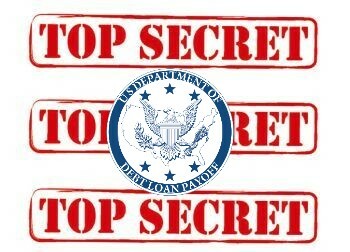 Discover the SECRET Information to pay off your debt or loan using Government Money. Receive your New Secret Information e-booklet about how you can PAYOFF your debts and loans within 90 days now. NOTE: When you purchase the debt payoff e-booklet below, there are NO REFUNDS, because you have 24 hours a day access due to the fact that the download link, user name and password is in your receipt. The description of the information and contents are below the order box. Please read the description before ordering. If you can find any State Statute or Federal Law that says this Special, Negotiable Security Instrument, International Promissory Note, is illegal, a scam, unlawful, or is a Fraud, I will personally give you $30,000.00 Cash FEDERAL RESERVE NOTE DOLLAR Money! I really want someone to find this Non-Existent Law, because if anyone does find a law that proves and says that this Special Debt and Loan Payoff Instrument, International Promissory Note, is illegal, a scam, unlawful, or is a Fraud,, so are the Mortgage Promissory notes, Loan application promissory notes, Federal Reserve promissory note Dollars, Auto loan promissory notes, Credit card promissory note applications, and any and all other credit applications illegal against the Banks and United States Government!!! Do your own research before you think this Special Debt and Loan Payoff Instrument is unlawful and waste your time trying to find that law that does NOT Exist, but if it did exist, it would prove The Bank FRAUD to the Bank’s Hip Pocket Judges, Courts, and the Corporate United States Government! Is the CPA Security Money Instrument Legal? Is a CPA Security Instrument a Promissory Note? How long is the CAP Security Instrument Processing? Do You Have A Right To Vote?